Steve and his wife Betty reside in Tunnel Hill on the family cattle farm. They have two grown children. Steve works for Banterra Bank and is a charter member of the Vienna FFA Chapter. Cody resides in Eldorado and was a former Section President. He is currently the Principal at Eldorado High School. Cody would like to continue to keep help students on the state level. Kimberly, her husband Courtney, and their three kids, Jacob, Christine, and Caleb reside in Hanna City. Kimberly currently works at Ag Land FS and is the Reporter/Secretary of the Farmington FFA Alumni. Rick resides in Stockton with his wife Penny. They have two children, Randy (24) and Becky (22). Rick has been on the Council for 5 years and is also President of the Stockton FFA Alumni. He works for Monroe Westfalia Surge as a service mechanic on dairy farms. Dean and his wife Diane reside on their cattle and grain farm in Geneseo. He is a life long supporter of the FFA ever since he was a member in high school. 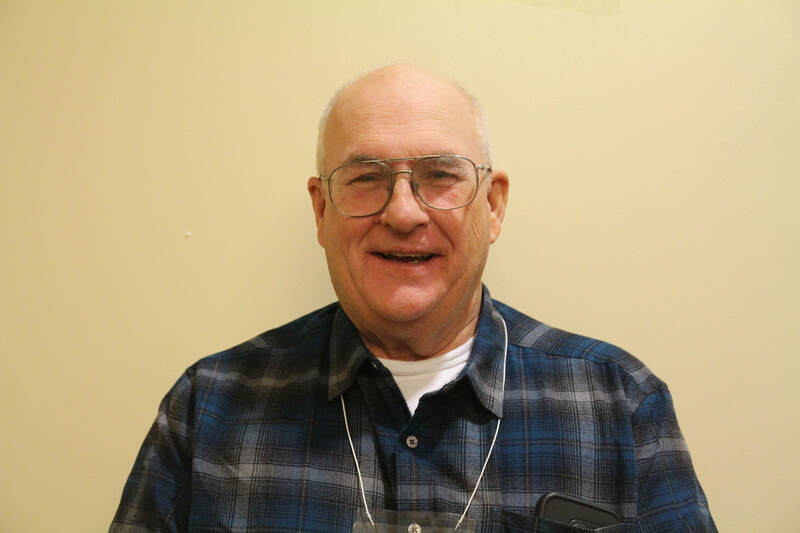 Dean has served on the state council for many years and is a past president. Ron and his wife Jalyn have two sons: Thomas (29) and Calvin (24). He is retired after 33 years of being an agriculture teacher. Ron enjoys fishing and works part time at Lowes. 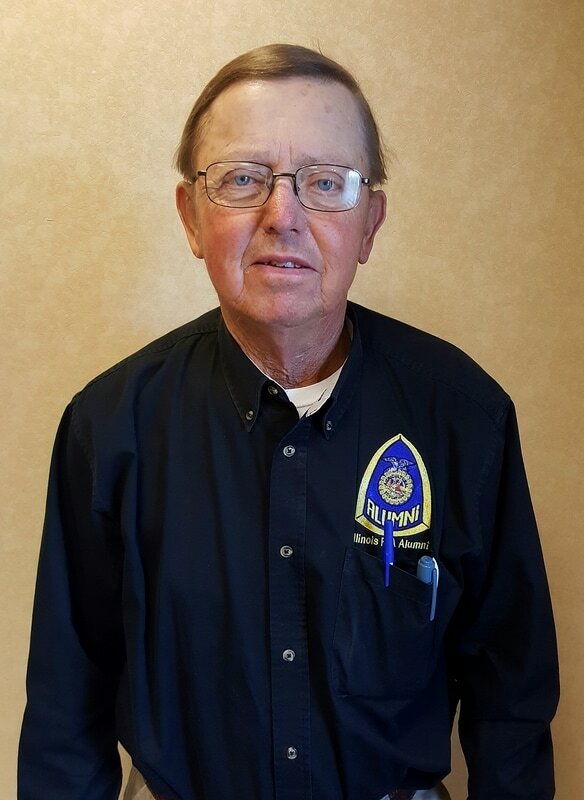 Terry recently retired as the Ag Ed Instructor and FFA advisor at Athens High School after 34 years. He continues to work full time at Athens as a bus driver and groundskeeper. He is also an active member of the Athens Lions Club and assists with the high school's Leo Club. Terry and his wife Rhonda have been married for 33 years and are parents to two sons, Justin (29) and Jared (26). Ted and his wife Nila have two children: Travis (22) and Lauren (16). He is a mechanic for his business Hughes Ag Repair. Ted also operates a 900 acre grain farm. children Sarah (23), Emily (21), and Andrew (18). 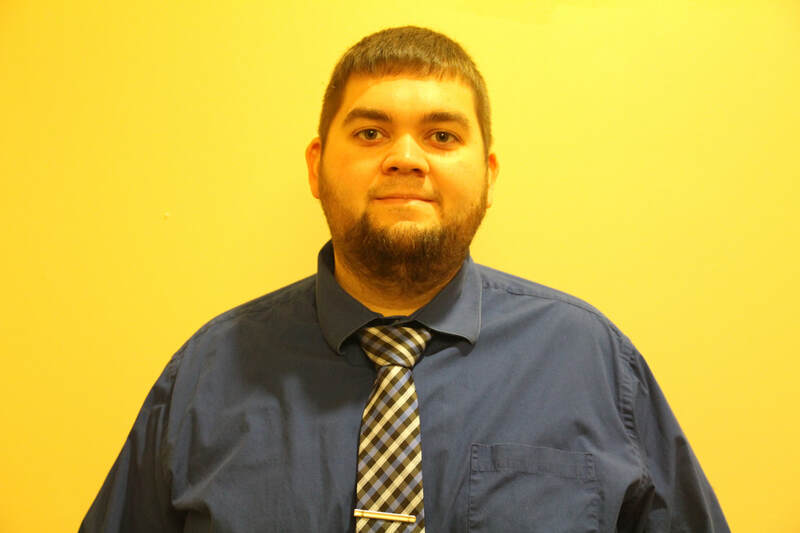 ​He is the Seed & Technology Manager for West Central FS. 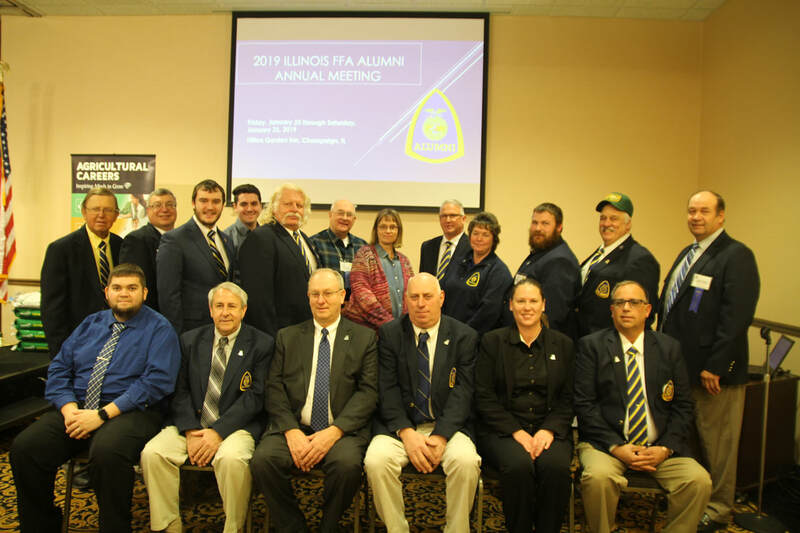 Mindy has been at the Illinois FFA Center since March of 2013 and serving as Executive Director since the summer of 2015. Prior to Illinois FFA, she was the District 4 Program Advisor for Facilitating Coordination in Agricultural Education (FCAE) for 10 years. Prior to that experience, she taught agriculture at Monticello High School for 8 years. She and her husband, Mark and their son Gehrig and daughter Emery, live on a farm near Decatur, Illinois, where they raise corn, soybeans and horseradish. 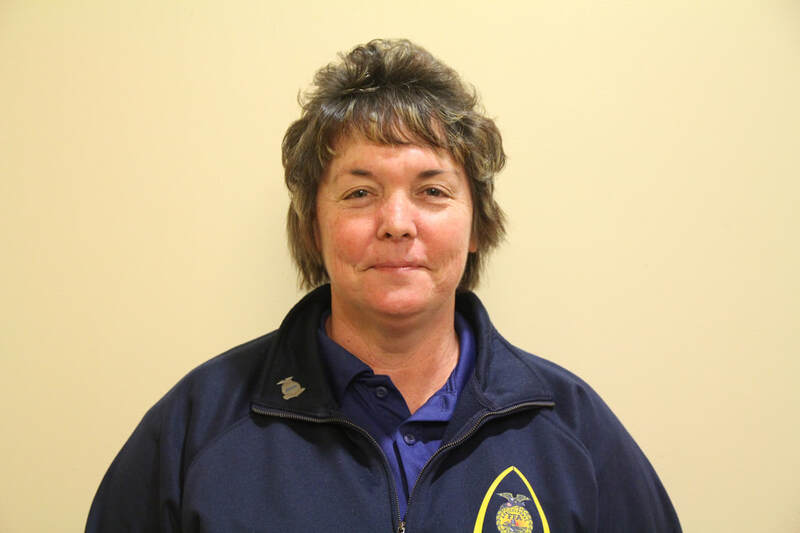 Patti is the Administrative Assistant for the FFA Alumni. 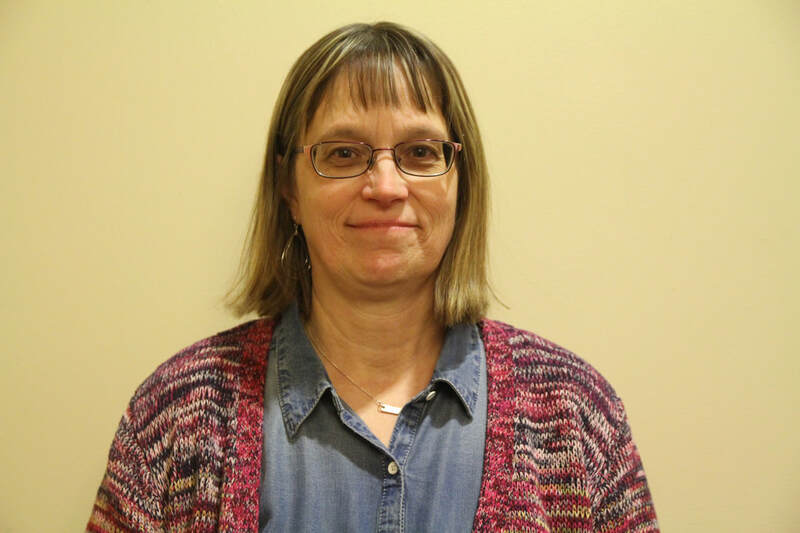 She began working part-time at the Illinois FFA Center helping with State FFA Convention & Leadership Camp, before being hired full-time in August 2010 to work with the Alumni and FCAE. She handles the FFA Alumni membership, including starting and reactivating Alumni's. Patti also processes alumni scholarship applications, coordinates the gator raffle and alumni conference. She lives in Mt. Pulaski with her two children, Maddy (20) and Joe (16).